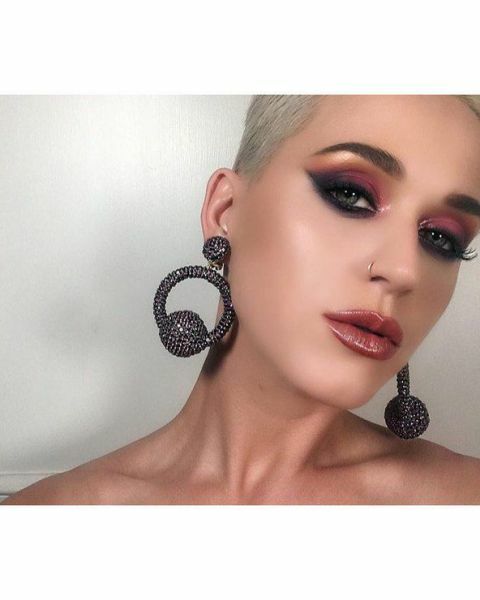 This summer, 33-year-old Katy Perry has released a new album Witness, and now the singer is in a tour in support of it. She recently presented a «Hey Hey Hey» music video. It seemed, artist did not pay attention to her personal life, but on the eve of Christmas Katy was in the company of a stranger. Paparazzi managed to take some pictures of the singer and her charming companion in Denmark. Couple was caught walking in the streets of Copenhagen and cuddling. Probably, Katy and her beau celebrated the holiday together. Katy opted for a gray knit dress and a fur vest in brown shades. Her companion wore this evening elongated beige jacket, coat and light jeans. Recall , after a year of relationship Perry broke up with 40-year-old actor Orlando Bloom. This fall a couple was seen kissing at the concert and during shopping. And then they spent a romantic weekend at the beach. But Katy did not renew relationship with a former boyfriend.